Contained in the 2015 Federal Budget, signed by President Obama on November 2, 2015, is a provision that will raise the maximum penalties for OSHA violations. The significantly higher penalties may cause employers to change how they evaluate whether or not to contest OSHA citations. This will be the first increase in maximum penalties since 1990. Most federal statutes have a mechanism to automatically inflate maximum penalties on a periodic basis. But, until now, violations of the Occupational Safety and Health Act (OSHA) were exempt from inflation. Section 701 of the 2015 Budget, titled the Federal Civil Penalties Inflation Adjustment Act Improvements Act of 2015, removes the OSHA exemption. The first OSHA adjustment will be a catch-up adjustment based on the percentage difference between the Consumer Price Index in October 2015 and October 1990. It is estimated that the catch-up adjustment will result in an approximately 78.2 percent increase in maximum OSHA fines. For example, OSHA’s maximum penalties for serious violations will increase from $7,000 to approximately $12,477 per violation, and the maximum penalties for repeat and willful violations will increase from $70,000 to approximately $124,765 per violation. Although the Budget Act allows OSHA to limit the catch-up adjustment to “less than the otherwise required amount”, OSHA is expected to seek the maximum penalty increases. The budget changes go into effect July 1, 2016, and the increased penalties will take effect no later than August 1, 2016. After the initial catch-up adjustment, employers should expect an annual increase in OSHA penalties because the law requires annual adjustments based on the annual percentage increase in the Consumer Price Index. The financial ramifications of the catch-up adjustment and annual increases will most likely change how employers evaluate whether to contest citations issued by OSHA. As previously reported, in July 2015, the Department of Labor introduced a proposed rule that would increase the minimum salary threshhold for overtime exempt employees from $455 per week/$23,660 per year; to $970 per week/$50,440 per year. In November 2015, Solicitor of Labor, Patricia M. Smith, announced the DOL had received more than 270,000 comments to the proposed rule. Accordingly, Smith advised she expected the final rule would not be available until late 2016. Once published, the final rule will become effective 60 days later. 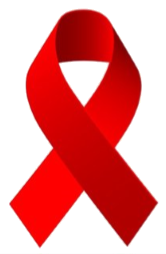 On December 1, 2015, coinciding with World Aids Day and in following the White House’s National HIV/AIDS Strategy, the EEOC issued publications aimed at promoting accommodations for employees with HIV/AIDS. One publication is directed at employees and provides information on their rights under the ADA. The employee publication advises that, as with any other serious medical condition covered by the ADA, the employee may request reasonable accommodations necessary to perform essential functions of their position due to the HIV/AIDS infection, the side effects of medication or treatment, and any condition related to the HIV/AIDS infection. The publication also reminds employees that their employers may not question their HIV status except in certain discrete circumstances, which include a request for accommodation. · Permission to work from home. 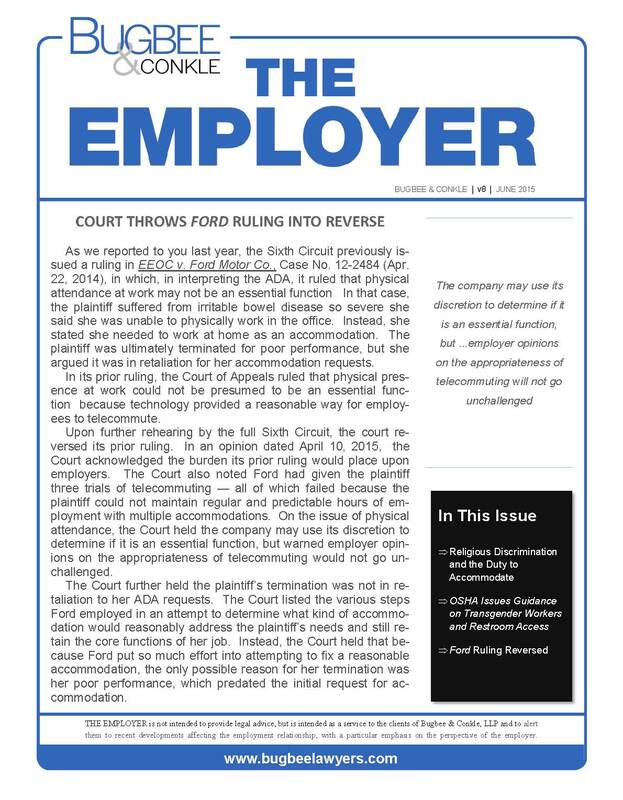 In a press release issued with the publications, the EEOC stated in 2014 it handled nearly 200 charges of discrimination brought by employees who were either unlawfully denied employment based on their HIV status, or were denied a reasonable accommodation. As with any request for a reasonable accommodation, employers should engage in an interactive process with the employee at issue. The interactive process should begin promptly and continue as long as necessary to ensure the accommodation reasonably meets the needs of both the employee and the employer. Employers should also keep in mind that while employees may suggest accommodations, the employer is not obligated to use the accommodation an employee prefers. The EEOC’s press release and publications may be found here:http://www.eeoc.gov/eeoc/newsroom/release/12-1-15.cfm.